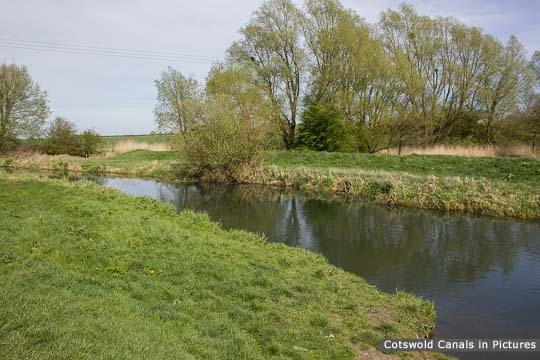 The Stroudwater Navigation provided a ready-made barrier that was used as part of 'Stop Line Green'. 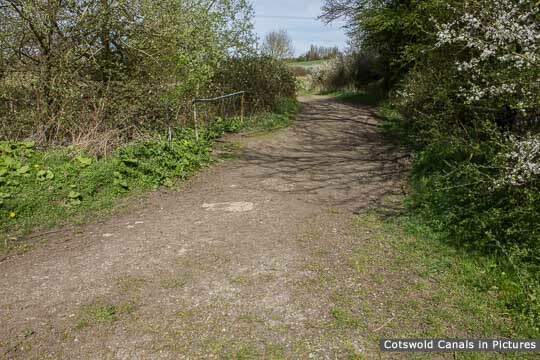 This was a World War II defensive line running for nearly 100 miles in a rough semi-circle from Highbridge, east of Bristol, on the Bristol Channel to Upper Framilode on the River Severn. This would have been used to protect Bristol and Avonmouth had Britain been invaded. 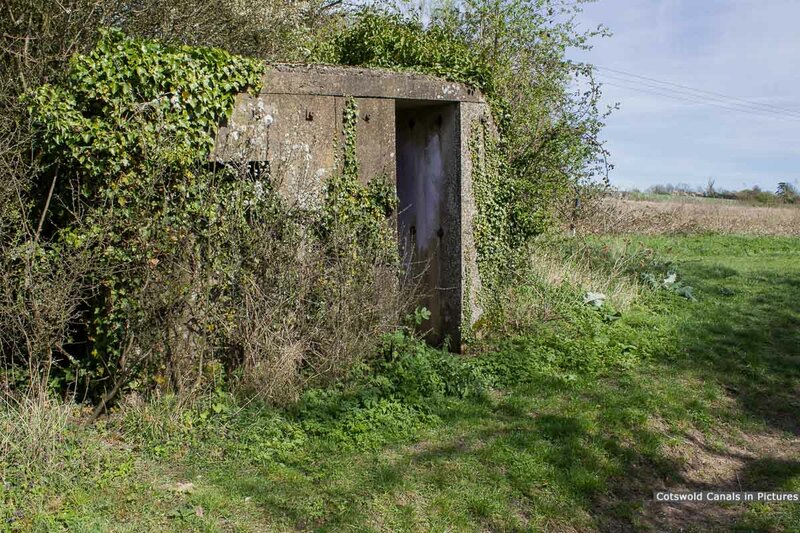 This pillbox is just west of the site of Stonepitts Bridge. 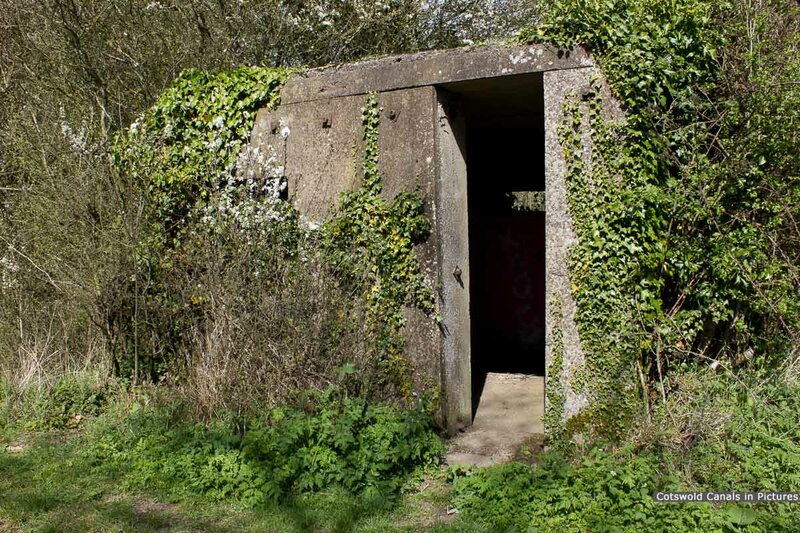 Pillboxes are defensive concrete guard posts, normally equipped with openings, or 'loopholes' through which to fire weapons. 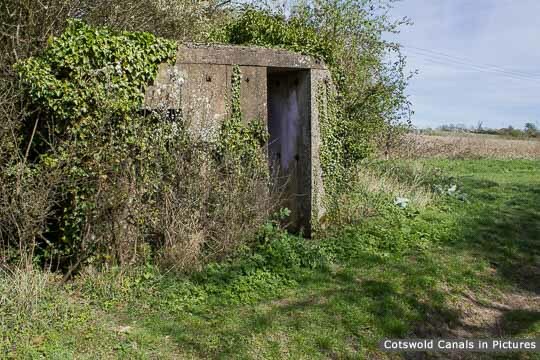 A review of the Stroudwater WWII Pillboxes has been produced by the Gloucestershire Society for Industrial Archaeology (GSIA), which can be downloaded via the link in the right panel.